The roof of your home is the only thing that stands between you and Canberra’s often turbulent weather. You need to be able to sleep securely at night, knowing it is fully up to the task, and the best way to do that is with a professional inspection by the qualified and experienced team at National Canberra Roofing. What are the benefits of a professional roof inspection? Having your roof inspected by a roofing professional will bring a number of benefits, most notably that they will be able to see minor problems that would escape the notice of an amateur. These can be rectified immediately, sometimes on the day of the inspection, saving you a fortune further down the track when those minor issues become major problems. Without an inspection faults in your roof can go undetected until it is too late to do anything except replace the entire roof – and that is without mentioning the damage that can be suffered by your home and contents if the roof fails. A professional roof inspection is almost certain to save you a lot of money in the long term. Another major benefit is that if they discover an issue for which you can claim insurance, you will have far greater success getting the money out of your insurance company if there has been a professional inspection. Can you inspect the roof yourself? The short answer is yes. 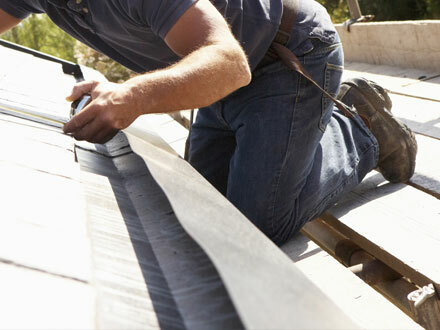 There’s nothing stopping you from passing an eye over your roof and with a proper checklist downloaded from the internet you will probably be able to identify any major problems, at which point you can contact a professional roof repairer like National Capital Roofing to carry out a thorough inspection. Should you inspect the roof yourself? The correct answer is no. Anybody can spot obvious leaking, particularly when water is damaging the walls in your home and dripping through your ceiling. However, by that stage the horse has bolted and it will be impossible to find a solution that is not highly expensive and inconvenient. What you really need is a professional inspection that will be able to identify problems as they are developing, so they can be addressed in their early stages when the remedy is much cheaper and easier to apply. A roof repair expert will be able to provide this service, bringing the correct tools to your home along with a range of skills that have been earned through years of training and experience. More importantly, you need to keep safety in mind. It is impossible to conduct a proper roof inspection from the ground, while placing a ladder against the side of the house and standing at the top of it will still fall short of getting the job done. The inspection needs to be conducted from on top of the roof and this creates obvious hazards. Every year 26 people are killed in falls of that nature in Australia, while a staggering 7700 are injured. It in unquestionable that roof inspections, as well as painting and all other work on top of your roof, should be left to professionals at National Capital Roofing.